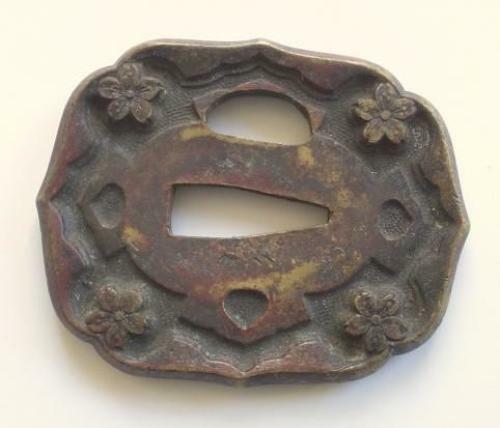 WW2 Period Japanese Army Officer Sword Tsuba. A good brass example of military pattern. GC.